Unity in Care – Unity in Care Limited provide social care staffing solutions throughout Hampshire and the surrounding area and focus on being highly care centred, reliable and flexible. Unity in Care is highly recommended by our clients! 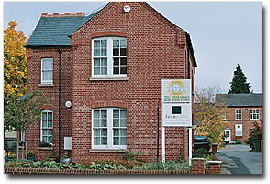 Unity In Care Ltd provides an holistic service, and was formed in June 2009. Its renowned reputation is due to being very care centred, reliable and having a good staff retention-giving us the flexibility and scope to continually grow the company. We are able to provide staff at short notice. The Manager who is a qualified Social Worker and Trainer, and also supported by a Care Co-ordinator who holds her QCF level 5, and a dedicated team of staff, who are QCF/NVQ trained and highly experienced to assess and meet the needs of our Clients. providing first class quality of service that ‘enhances’ our Clients lives using a warm, caring, reliable and person centred approach. Ultimately, we strive to be one of ‘the best providers in Health and Social Care’ in the country”. We will maintain our ‘philosophy of care and company core values’, Client focus, Reliability, Initiative, Integrity & Trust, Team Working, Sharing of Skills and Knowledge. We commit to having all our staff QCF trained as well as ongoing development and training on all mandatory courses. We commit to all our staff to promote equal opportunities and elimination of discrimination. Stringent recruitment process including DBS checks to an enhanced level; All candidates have face to face interviews; three recent, relevant and professional references. We aim to give continuity of service as this is a mutual benefit for both clients and the company. You can telephone us on 01252 544423 between the hours of 9am and 5pm Monday - Friday. Alternatively you can write to us or send us an email. Our feedback is collected by an independent third party service provider Working Feedback. This allows us to collect impartial, genuine and realistic feedback from our valued clients.